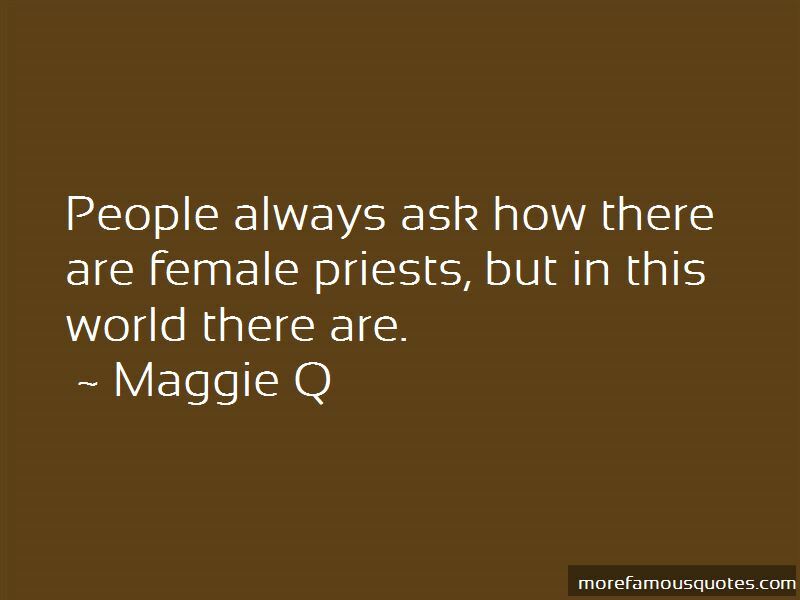 Enjoy the top 55 famous quotes, sayings and quotations by Maggie Q.
I love shooting guns. Not at people or animals, but I love shooting blanks! My goal when I make my show is to make a show for women. I don't make a show for men. As women, I think it helps that we are complex creatures by nature so just being a woman helps to understand a woman's journey. You should see me during an action film. I look like an abuse victim. We rarely grow when we're happy, we grow when we hurt. I'd left Hawaii twice in my life, so I'd been on an island my whole life. I had no clue. I didn't know how to live in a city. You're not going to see me in a bikini again, that's for sure. I was horrified to wear that. I was mortified. I was like, "Danny, can you put me in a one-piece?," and he gave me that red bikini. I was like, "That's not a one-piece. That's a two-piece with a string." I like the physical challenge. 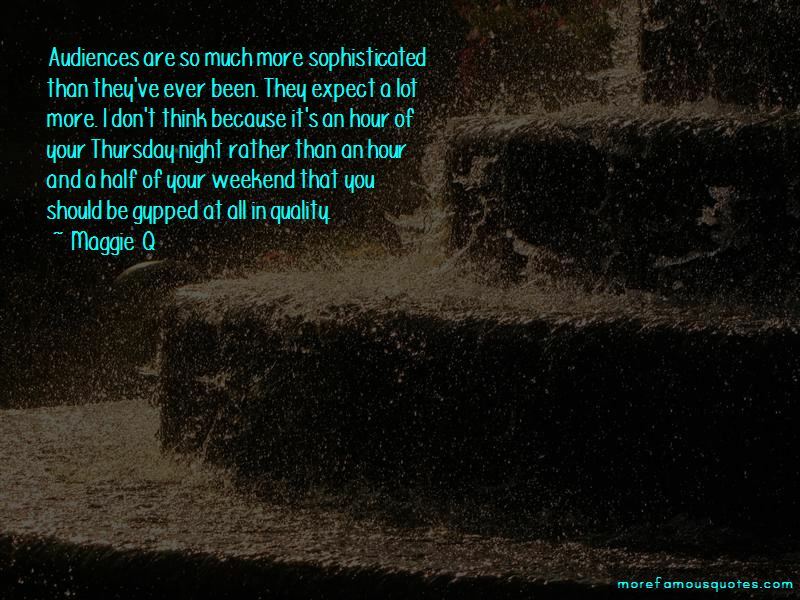 It's fun for me. 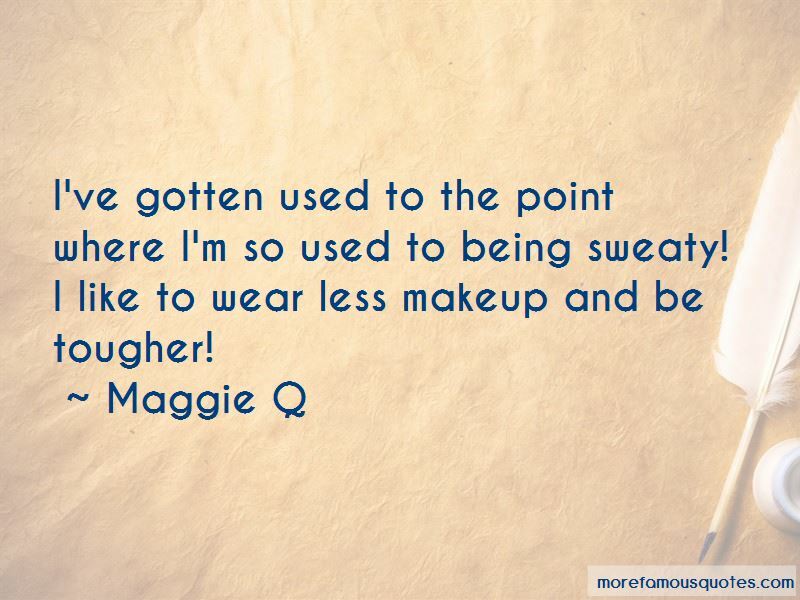 Want to see more pictures of Maggie Q quotes? 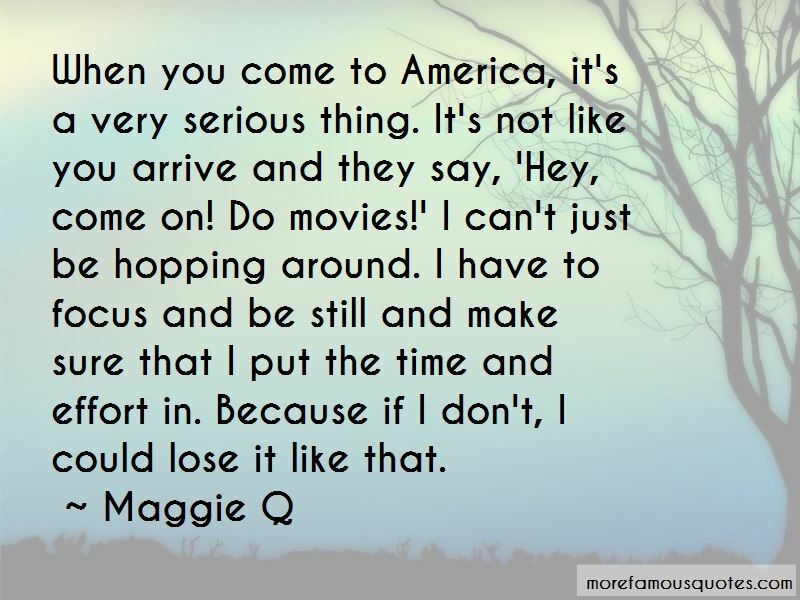 Click on image of Maggie Q quotes to view full size.